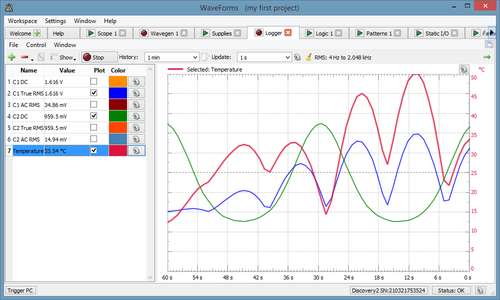 .deb: Debian, Ubuntu, Mint, etc. 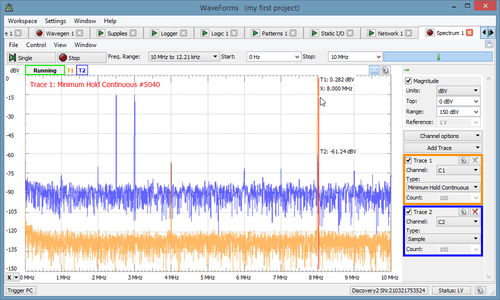 .rpm: Red Hat, Fedora, etc. 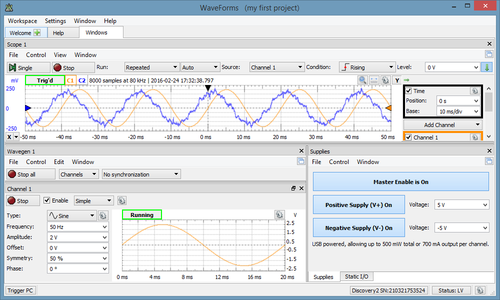 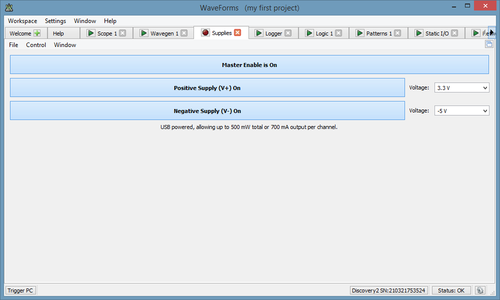 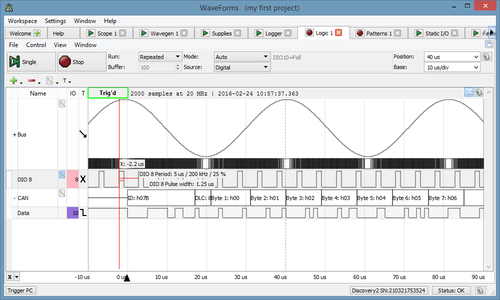 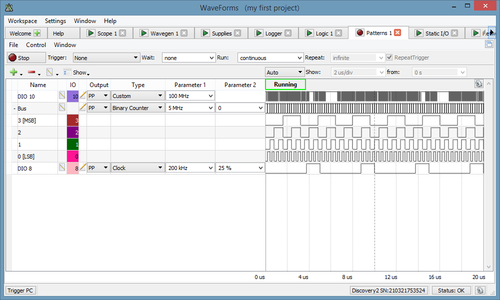 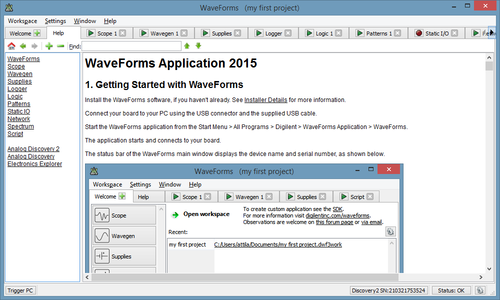 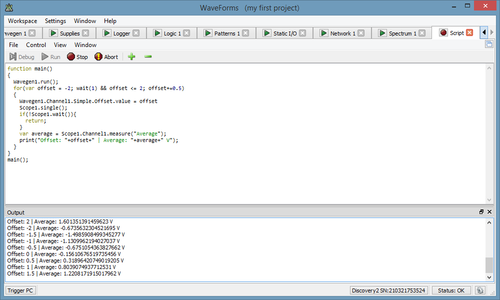 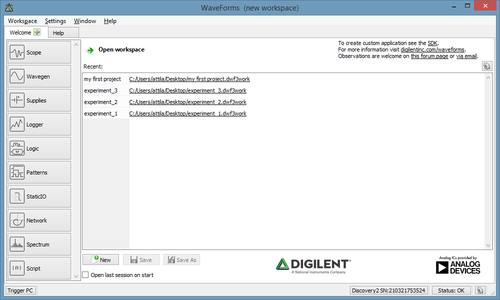 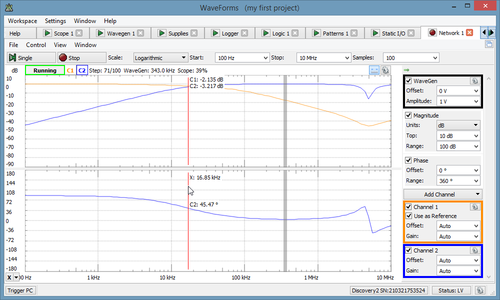 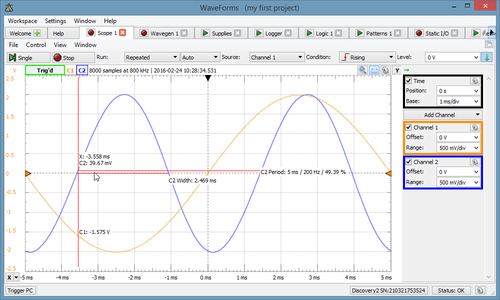 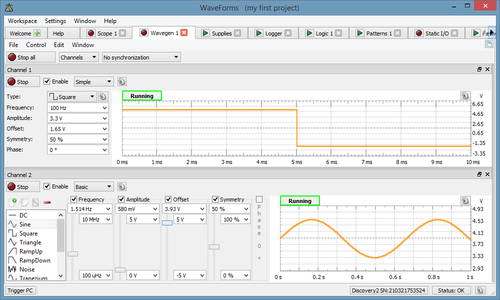 WaveForms is the virtual instrument suite for Electronics Explorer, Analog Discovery, Analog Discovery 2 and Analog Discovery 2 - NI Edition devices.